The inventory of foreclosed houses continued to shrink in January. Property information, analytics, and data-enabled services provider CoreLogic reports the number of foreclosed homes was down 21.7% in January, while completed foreclosures declined by 16.2% from the same period a year earlier. The number of completed foreclosures in January was down 67.6% from the peak of 117,743 in September 2010. 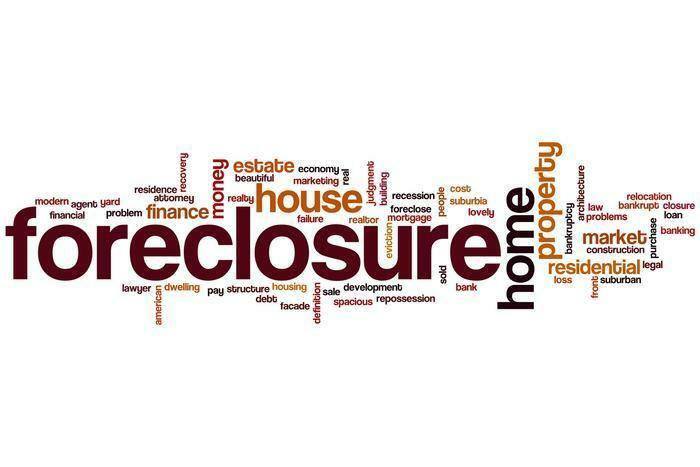 Since the financial meltdown began in September 2008, there have been approximately 6.1 million completed foreclosures across the country, and since home ownership rates peaked in the second quarter of 2004, there have been approximately 8.2 million homes lost to foreclosure. As of this past January, the national foreclosure inventory included approximately 456,000, or 1.2%, of all homes with a mortgage compared with 583,000 homes, or 1.5% a year earlier. The January foreclosure inventory rate has been steady at 1.2% since last October and is the lowest for any month since November 2007. CoreLogic also reports that the number of mortgages in serious delinquency (defined as 90 days or more past due, including loans in foreclosure or REO) declined by 22.5% from January 2015 to January 2016, with 1.2 million mortgages, or 3.2%, in this category. The January 2016 serious delinquency rate is the lowest since November 2007. "In January, the national foreclosure rate was 1.2%, down to one-third the peak from exactly five years earlier in January 2011, a remarkable improvement," said Dr. Frank Nothaft, chief economist for CoreLogic. "The months' supply of foreclosure fell to 12 months, which is modestly above the nine-month rate seen 10 years earlier and indicates the market's ability to clear the stock of foreclosures is close to normal." On a month-over-month basis, completed foreclosures increased by 16.4% to 38,000 in January 2016 from the 33,000 reported in December 2015. As a basis of comparison, before the decline in the housing market in 2007, completed foreclosures averaged 21,000 per month nationwide between 2000 and 2006. On a month-over-month basis, the foreclosure inventory was down 1.6% in January. The five states with the highest number of completed foreclosures for the 12 months ending in January 2016 were Florida (74,000), Michigan (49,000), Texas (29,000), California (25,000), and Ohio (24,000). These five states accounted for almost half of all completed foreclosures nationally. Four states and the District of Columbia had the lowest number of completed foreclosures for the 12 months ending in January 2016: the District of Columbia (97), North Dakota (298), Wyoming (551), West Virginia (589), and Alaska (707). Four states and the District of Columbia had the highest foreclosure inventory rates in January 2016: New Jersey (4.3%), New York (3.5%), Hawaii (2.4%), Florida (2.3%), and the District of Columbia (2.3%). The five states with the lowest foreclosure inventory rate in January 2016 were Alaska (0.3%), Minnesota (0.4%), Colorado (0.4%), Arizona (0.4%), and Utah (0.4%).